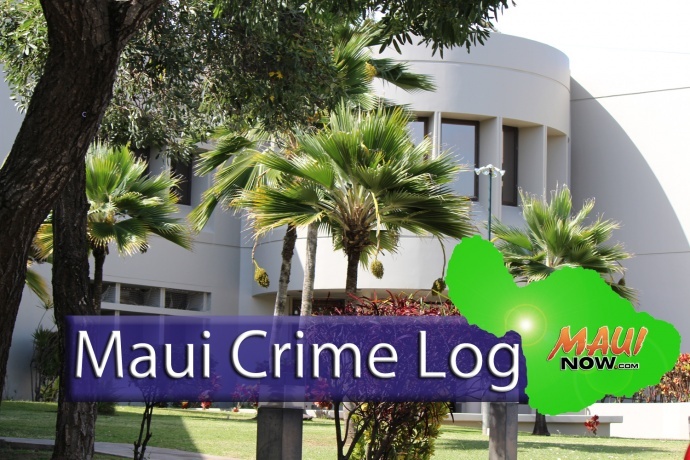 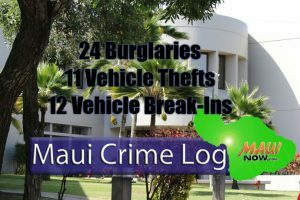 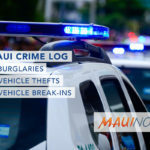 Maui police responded to 24 burglaries, seven vehicle thefts and 17 vehicle break-ins in Maui County over a seven day period from Jan. 21-27, 2018. 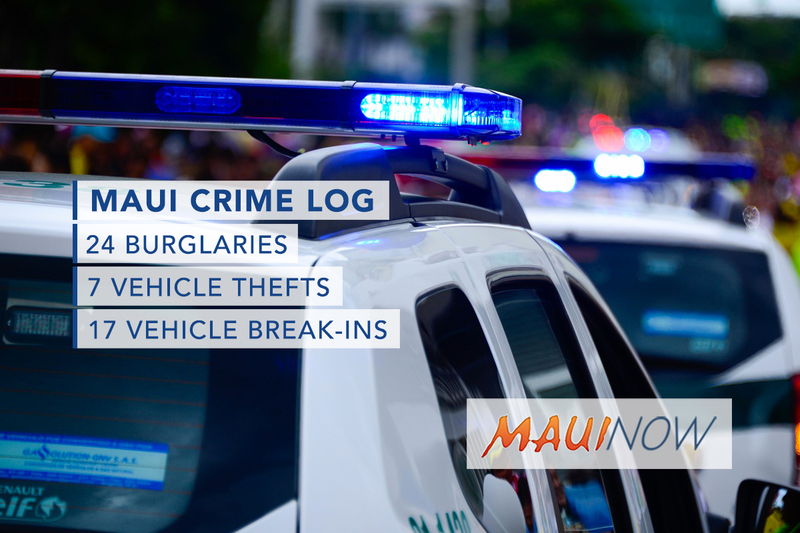 Burglaries increased 71% from the week before when 14 incidents were reported over the seven day period. 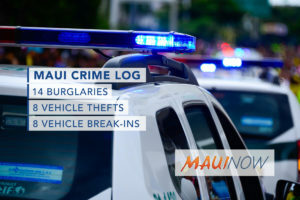 Vehicle thefts decreased 56% from the week before when 16 incidents were reported; and vehicle break-ins increased 6% from the week before when 16 incidents were reported.